Mozambique is a southeast African country with about 24 million citizens and area of 801,590 km2 total. 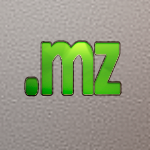 Mozambique is unrestricted, it means that anyone can register a domain name. Domain name can contain from 3 to 63 characters. A single client can obtain unlimited amount of domains.